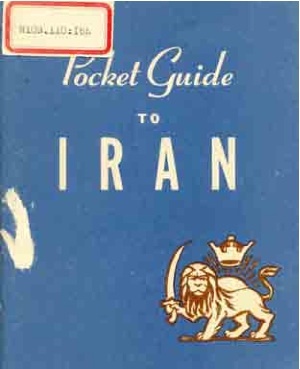 Above is the cover of a guide for US military troops posted to Iran during the Second World War. 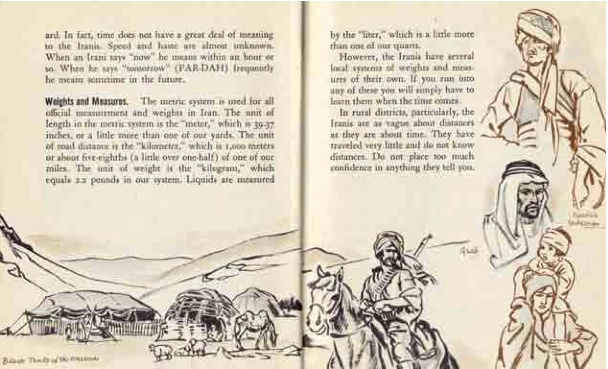 The book explains that Iran was the only place in the whole war where British, US and Soviet troops were based side-to-side, and one detects that there might be as much competition between these as against Axis spies. ... more than anything else, Iran is one of the great power reservoirs of the world. Napoleon once said that an army marches on its stomach. Today armies march on oil. Were all supplies of oil suddenly vanish, every large industrial nation in the world would collapse almost overnight. Oil is the lifeblood of the modern world. Getting along in Iran is pretty much like getting along at home, except that the people are more formal. Use ordinary decency, politeness, and consideration, and you won't have trouble. Be a little restrained, though friendly. And remember always that you aren't going to Iran to change or reform the Iranis or tell them how much better we do things at home. Their ways of doing things have been good enough for them for some thousands of years, and they aren't likely to change because you think they should. UNTIL a few years ago, if a foreigner had attempted to enter a mosque (Moslem church) in Iran, he would probably have been beaten to death, and even today it is safest to keep strictly away from mosques unless you are invited there by a responsible person. 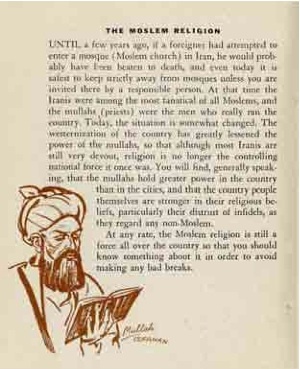 At that time the Iranis were among the most fanatical of all Moslems, and the mullahs (priests) were the men who really ran the country. Don't try to tell Iranis how much better everything is in the United States. They think most things are better in Iran. Don't touch a respectable Irani woman, or even look at one unnecessarily. Don't mistake courtesy for friendship; an Irani is always polite, but he is fundamentally suspicious of foreigners. 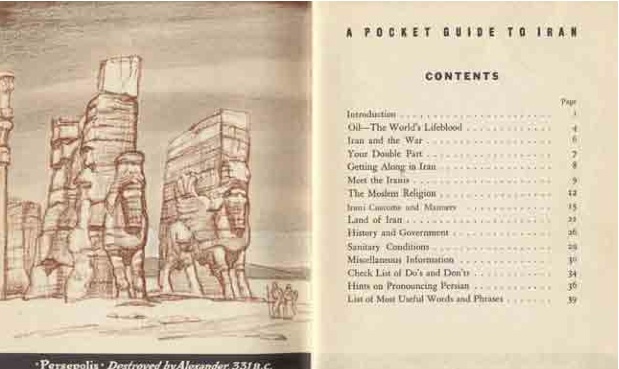 It's unfortunate that the scanning quality of the document is quite poor, because this guide offers an interesting insight into the minds of the US military during one of its first forays into the Gulf (previously mostly a British colonial playground). It's available in PDF format here. I wonder if they will be updating these anytime soon?